Sure they’re fun to give, and your pumped to get, but promotional products done well create buzz worthy effects. 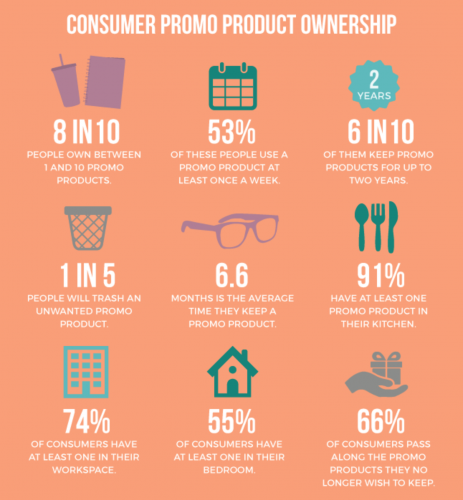 Check out these stats on the staying power of promo. Your marketing ROI will thank you.